If you plan to visit London and live in style, in a central location that is nearby all the major touristic attractions and accessible means of transport, then we would recommend Canary Riverside Residences as your British accommodation. We have prepared below a number of possibilities for you to reach this wonderful hotel in case you are landing at Heathrow Airport. However, let us see some of the benefits that Canary Riverside Residences can add to your relaxing holiday. First of all, you have a 24 hours security and a doorman that is nonstop at your disposal. Even if the prices are a little high in comparison with other hotels, this is a place where you can take advantage of all kind of great facilities, like parking, room service, a gym, wireless Internet and many other. You can choose all types of rooms, depending on the number of passengers that have come with you to London. This is perfect especially if you have a numerous family. As we have mentioned before, in the opening paragraph, you are situated close to some of the most beautiful sights in London. 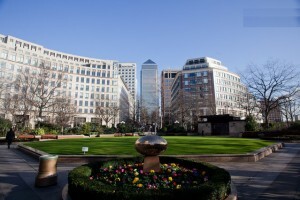 Canary Riverside Residences is located in Canary Wharf, one of the best areas in this beautiful capital city. Thus, you can simply walk or take the nearby bus stations to such local attractions as the O2 Arena, West End and the National Maritime Museum. In order to get a Heathrow to Canary Riverside Residences Transfer by rail, you could take the train from Heathrow Terminal 1 (every 15 minutes), via Paddington (H&C every 5 minutes) and then use the Baker Underground Station (every 5 minutes). This journey might take about 42 minutes. You can also use the Tube from Heathrow Airport Terminals 1-2-3 (every 5 minutes) via Green Park Underground Station (every 5 minutes). This whole journey takes about 59 minutes. Another option would be to take the bus from Heathrow Central Bus Station (every 60 minutes) via St James, Trafalgar Square (every 60 minutes). This journey will last about 1 hour and 57 minutes. A Heathrow to Canary Riverside Residences Transfer by car can be done by taking the M4 motorway. Heathrow Airport is at a 22.5 miles distance from Canary Riverside Residences. This journey will take about 49 minutes, without including traffic. A Heathrow to Canary Riverside Residences Taxi Transfer with 247 Airport Transfer is going to take about 1 hour and 12 minutes, including rush hour traffic. The price for a Heathrow to Canary Riverside Residences Taxi starts from 52 GBP.